The 16K Sony TV is 19.2m x 5.4m. 64 times more pixels than 1080p HD. Sony calls the technology "Crystal LED", which is its brand name for micro-LED display tech. Current manufacturing costs make it too expensive for widespread use. 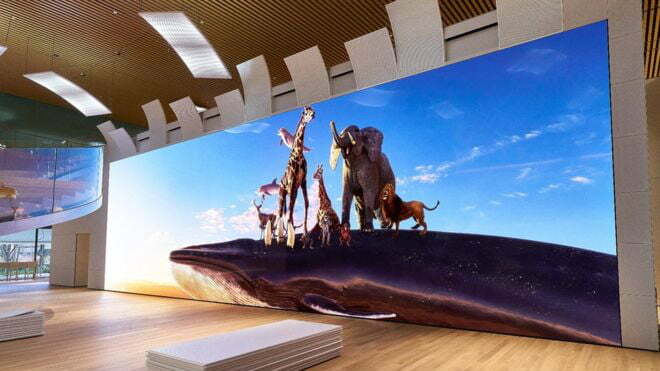 For now, Sony is pitching a range of smaller, lower-resolution Crystal LED displays for use in office lobbies, car showrooms, cinemas and theme parks.